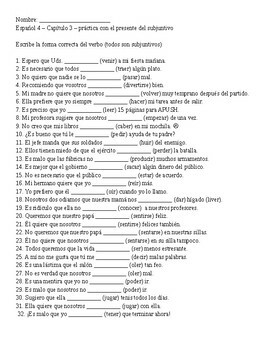 I use this worksheet with Spanish 4 to practice formation of the present subjunctive only - they don't have to decide whether or not to use it, just conjugate correctly. 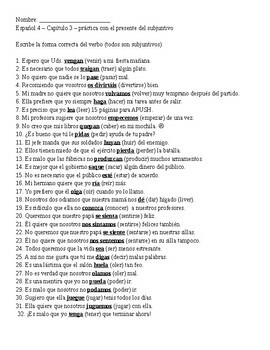 It focuses on using lots of irregulars that are harder for students to remember, like sentarse and sentirse. One page HW or classwork has a key on page 2 and is an editable Word document.